Need help building a community strategy of your own? Learn more about CMX’s 6-week online training program, bring us in for a workshop with your CMs or executives, or bring on our expert consultants to help you with the challenge. 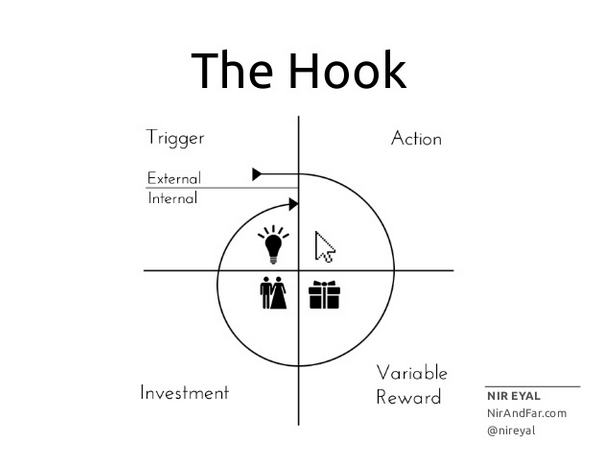 Today we’re going to answer this by looking at what the PH product does through the lens of Nir Eyal’s Hook Model which consists of a trigger, action, variable reward, and investment. A majority of “consumers” who don’t add content – be it product submissions or comments. They either lurk and/or upvote products. A minority of “creators” that submit products and take part in conversations around them. This is otherwise known as the 80/20 rule. A trigger, internal or external, drives a user to the platform where they get some sort of variable reward, contribute something of their own and return to the platform later for the same loop. Let’s take a look at how this loop works so well for Product Hunt. Product Hunt exercises both internal and external triggers to get its users to think about coming back every day. What are these triggers and how are they built into the community product? Product Hunt’s users by definition are early adopters and/or inherently interested in what’s new and cool. They were already looking for something like Product Hunt to come along to meet this need. When it did, it didn’t take any prodding for these users to convince them of Product Hunt’s value. They are internally motivated by the value that Product Hunt brings to the table: they’ll be the first to discover new products and services. This is one of the most powerful techniques community experts use. Figure out what people are already trying to do and just make it easier for them. There are five key product triggers that remind people to come back again and again. These are the small prodding actions that get people to engage over time, cementing their bond with their fellow community members. a. Daily emails: Product Hunt sends out an email every morning at a set time. The majority of the email is about the top hunts of the previous day and also includes new collections around specific topics, like community products or travel products. Users come to expect these regular roundups of new information each day. b. Email notifications when you get a @mention on Product Hunt: This is self-explanatory. When someone @mentions you, you’ll get a notification via email, prompting you to engage with the person who mentioned you. c. Email notifications when someone you follow does something: The ability to follow and be followed (like Twitter) is very new on Product Hunt. Currently, when someone you follow submits a product that is published on Product Hunt, you get an email. d. iOS App: This is also a recent addition to Product Hunt’s armory. In a meta way, this feeds users’ desires to be the first to know when something’s happened on the site. They are able to get push notifications, download products straight away to their phones, and engage on-the-go. e. Product Usage: Every use of a product that a user finds via Product Hunt reminds a user of where they learned about the product, further cementing their desire to return to the app to find more products like the one they’re using. f. Tweets: Product Hunt automatically tweets out new products that are posted and since a lot of the community follows them on twitter, this triggers a lot of users to return to the site. In the end, the cycle of internal and external triggers ingrains Product Hunt as something to check out daily. As a result, the community comes together on a regular basis to engage around new products. Remember, the action is how a user responds to a trigger, like clicking a link or going directly to the site. Product Hunt raises the odds that users will respond to the trigger by making it easy to act on these internal and external triggers. Many users are already motivated from within to check out what’s happening on Product Hunt today. But even the ones that aren’t as inclined to check out Product Hunt daily are likely to be persuaded to check it out. Let’s see how. a. Daily emails: When you see the top hunts you missed yesterday, directly under them is an unmissable link in the email to get you back to Product Hunt. There’s also a blurb about the latest collection, which is a selection of products around a certain theme. This section of the email has the prominent red call to action button as well. It takes you straight to the collections page and see all the products that Product Hunt has curated around that theme. b. Email notifications on @mention: The email contains the name of the person that @mentioned you, their comment and a nice bright red button to reply to the comment. There’s no need to (remember to) come back to Product Hunt to see and participate in the conversation. c. Emails when someone you follow does something: The email contains details of who submitted what along with the familiar looking red button to take you back to Product Hunt. By releasing this app, Product Hunt removed the need to get back to the desktop to be able to see (and, if needed, respond to) notifications. Product Hunt succeeds in spades here by hitting the trifecta of variable reward types for creators. a. On site with upvotes & comments: When a product a user submits hits the Product Hunt front page, the number of upvotes that post receives provides social validation. This lasts through the day. If the post engenders positive comments, that’s just the cherry on top. If the submitter has the app, their phone is likely going to be pinging a lot. b. Leaderboard: Product Hunt-philes know about the leaderboard. This is a daily updated list of top products and “hunters” (as a function of upvotes their hunts have received). Being on this list means that you’re among the top 0.1% of product submitters. How bad do you think some users want to be on this list? 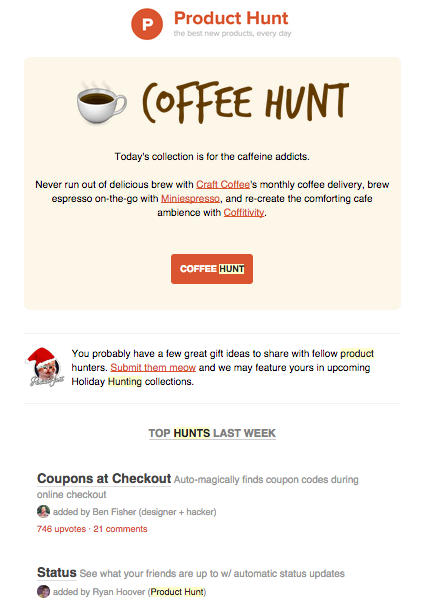 d. By email: Remember that daily email with the top hunts of the day before? Right next to the titles of the top hunts are the names of the users that added them along with the number of votes and comments that post got. a. Built-in variability: You have no idea what’s going to show up on Product Hunt everyday. This is true as a creator or a consumer. It’s especially variable as a creator because there is no guarantee when or if the product you submitted will even show up on Product Hunt. This variability is core to the site’s functionality. By design, a list of product names with short attention grabbing taglines makes users want to read down the list to see what else is new today. b. Manufactured curiosity: The “Show X More Products” feature also plays into this curiosity to see what’s been submitted beyond what users can see immediately. c. Collections: Every few days, Product Hunt also puts out a collection of products around a certain theme. This gives users another way to experience Product Hunt beyond the daily submissions. Perhaps they’ll find other interesting products they may have missed. The most brilliant part of collections is that Product Hunt doesn’t make past ones available anywhere. You literally have to hunt old Product Hunt email or tweets to find links to them. Or you get driven so nuts that you’re compelled to create this. a. Submissions: For some, having a submission show up on Product Hunt can itself feel like a overcoming a barrier. The more votes (and positive comments) a post gets, the better the user feels. Of course, nothing feels better than having the top hunt of the day. b. Leaderboard: As users’ posts get upvotes, they also move up the leaderboard. Seeing their “Hunter Rank” get better just compounds how good the users feels. c. Invites: Product Hunt allows you to give other users the ability to comment ONLY IF you meet a certain bar. Talk about the definition of variability! This variability helps keep the quality of discourse high, as users are on their best behavior in the hopes of getting added privileges. But it also plays to users’ desires to not have to keep seeing that big zero next to their profile pic. Product Hunt’s mechanics are set up to make users do a bit of work that will set them up to continually to engage with the community. Let’s look at this from the perspective of consumers and creators. For more engaged users, the ability to upvote a nearly endless stream of products keeps them engaged onsite that much more. Consumers can also share the products that they discover, which in turn drives more people through the Hooked loop. 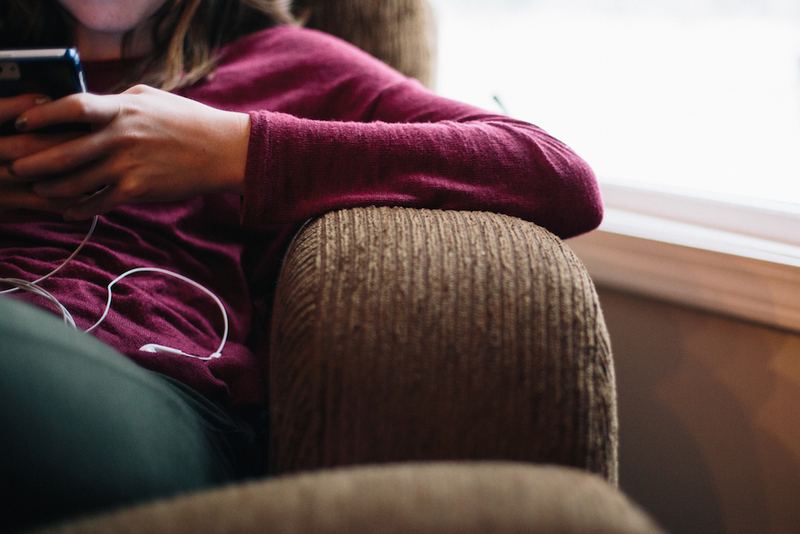 Once users are logged off, the email the next morning prompts them to go through all the stages of the Hook Model all over again. These are the users that constantly submit new products to Product Hunt and comment consistently on new products. You can be sure that there’s a subset of them submitting products like crazy every day. As we’ve seen, if even one of those products gets featured, that improves their “Hunter Rank” on the leaderboard. How many people do you think are trying for the two-fer of being listed in both the Product and Hunter columns? There’s also one other dynamic at play currently: Only a subset of users can add comments. The more they comment, the greater the likelihood of getting a response. And round and round we go. All the creator investments prime those users to go through all the stages of the Hook Model all over again. In the end, both consumers and creators investments serve the ultimate goal of surfacing “the best products, every day”. It’s a beautiful example of cooperative design. The secret to Product Hunt’s ability to keep its users engaged is a thoughtfully architected system built on the Hook Model. It’s designed to raise the odds of becoming a community that is also a daily habit, whether you’re a content consumer or creator.